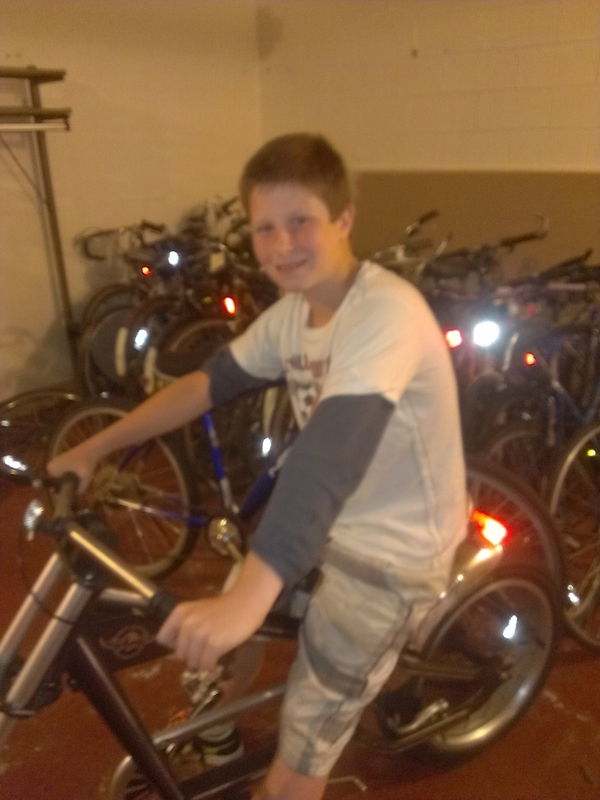 The Nasson Community Bicycle Center started a Girl’s Ride this summer led by Volunteers Andrea and Susan. 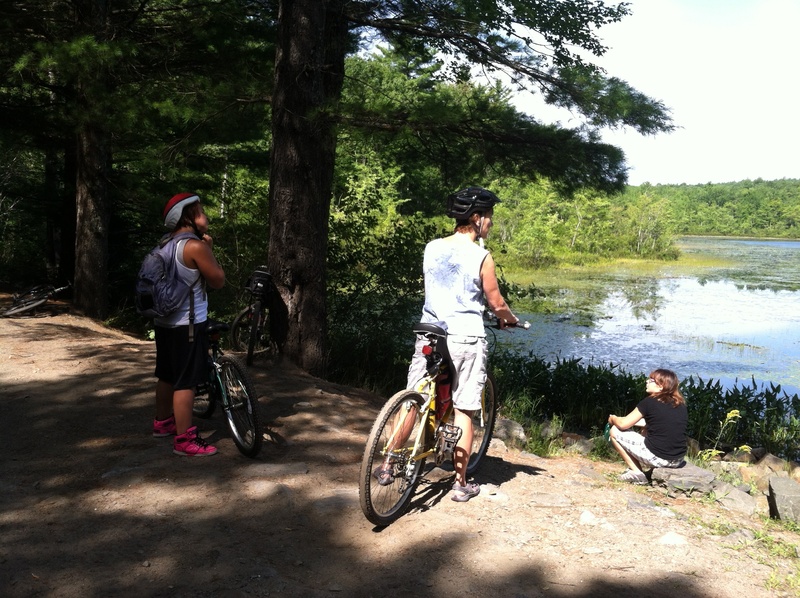 Here are the girls taking a break at Deering Pond on the Rail Trail. The rides include stops for swimming and ice cream! There are a few weeks left, come join the fun. Dakota’s new ride to get places! 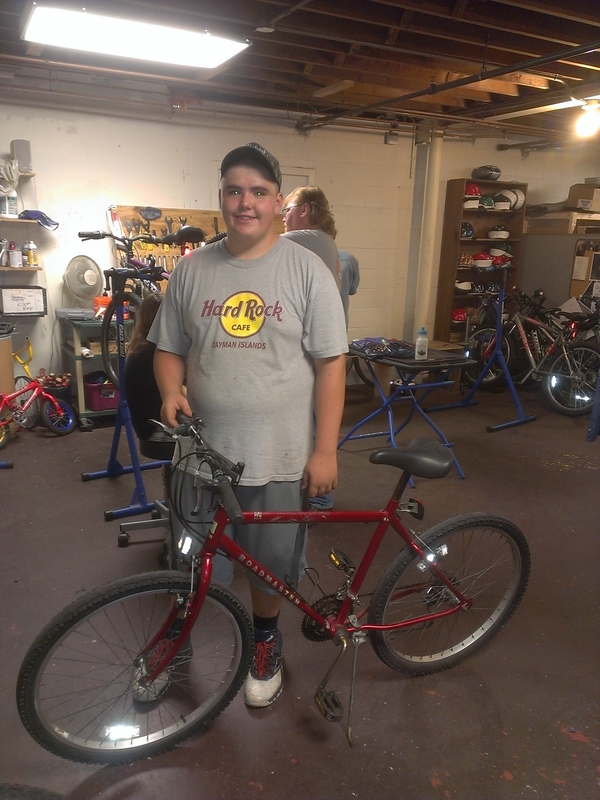 Dakota was looking for a more efficient bike to get around than his bmx, so he rebuild this Roadmaster mountain bike. We love the idea of bikes as a great way to get around, and a rigid fork mountain bike is a great choice for a comfortable, efficient ride. Great job Dakota! Jeremiah had the most hours during the second half of the school year and won this chopper, custom rebuilt by Jeff, Harley aficionado extraordinaire! Congratulations Jeremiah, and thank you Jeff!